Historic and traditional dance goes back hundreds and even thousands of years. Nigeria has the treasure of a variety of folk and tribal dances in regions across the country. The eastern region, which consists mostly of the Igbo tribe, have a list of traditional dances performed as a form of emotional expression, social interaction, or exercise, in a spiritual or performance setting, and these dances are sometimes used to express ideas or tell a story. Jumia, Nigeria’s leading online travel agency, shares a list of top 5 local dances. 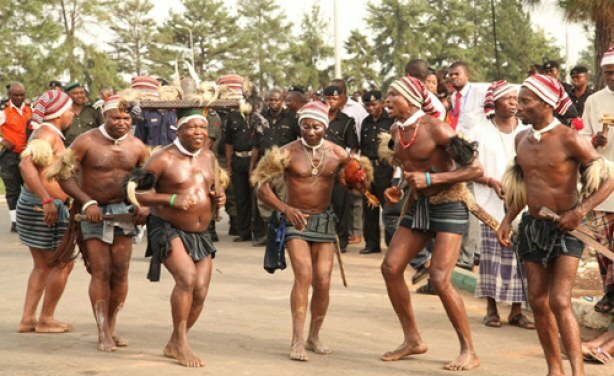 Commonly associated with the people of Abam in Arochukwu LGA, Abia State, Nigeria, Ikpirikpi-ogu is a dance of warriors. Originally performed to welcome soldiers back from tribal wars, it exudes an air of valour and is strictly performed by men. Today it’s purely symbolical to show the strength of a community and its conquest over collective challenges. It is performed at key festivals and community events. This is very similar to performances by cheerleaders in today’s western world. It is known as the ‘Acrobatic Dance” as it requires a lot of quick movements. It is mainly performed by the youth for entertainment at ceremonies or other events. Possibly the most popular dance in the Igbo culture, Mmanwu is celebrated across the entire Igbo landscape. In the ancient times, masquerades were seen as sacred as they either represented deities or were messengers sent by deities to deliver judgments or penalties on otherwise powerful people. They were untouchable; feared to be spirits. The Mmanwu dance was and is still featured in most Igbo carnivals, celebrations and funerals including the New yam festival. Their performances are usually vibrant and mobile causing so audiences to move around in order to fully enjoy each. You can experience this popular dance when you visit any of the eastern states. In a bid to attract suitors, this dance which involves rhythmic movements of the chest and waist was performed by maidens who had come of age and were set to marry. It was a key aspect of the Igbo culture and was used to foster abstinence from sexual activities before marriage. In recent times, it is performed as a form of entertainment by young ladies with supple bodies. This dance strictly performed by married women, generally involves a responsive movement of the body, in a rhythmic fashion to hip-swinging music. Married women and new mothers used such entertaining opportunities to exercise, lose weight, shed baby-fats and stay healthy through weekly rehearsals.